Emily joined The Bell Foundation as a trainer in September 2018. Prior to joining Bell, Emily worked in English Language Teaching (ELT) and taught both adults and young learners in the UK and Thailand respectively, before going on to become a teacher trainer in the ELT sector. 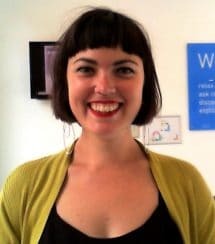 Emily has a CELTA and DELTA and has also worked closely with Cambridge Refugee Resettlement Campaign (CRRC) as a liaison for the English Language Provision.